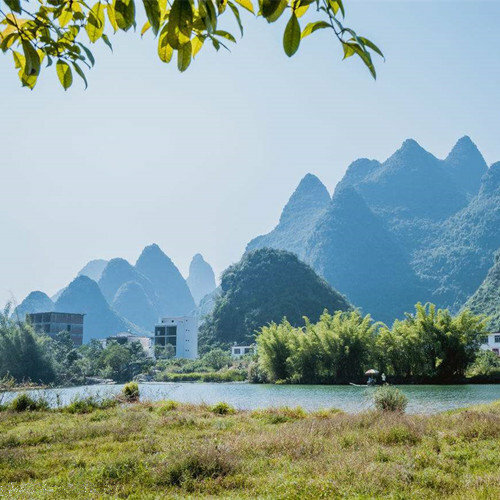 Elephant Trunk Hill stands majestically in the downtown area of Guilin city, at the junction of the Li River & the Peach Blossom River . The name was chosen because the shape the hill looks like a giant elephant dipping its trunk into the river. 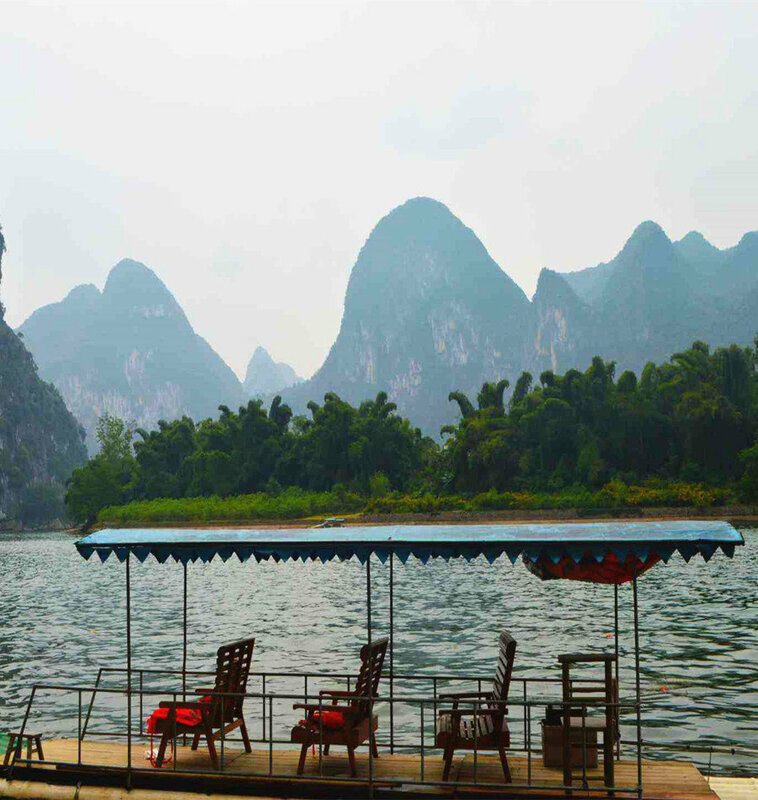 The green water of Li River and Elephant Trunk Hill combine to form one of the most famous hills and attractions in Guilin City . 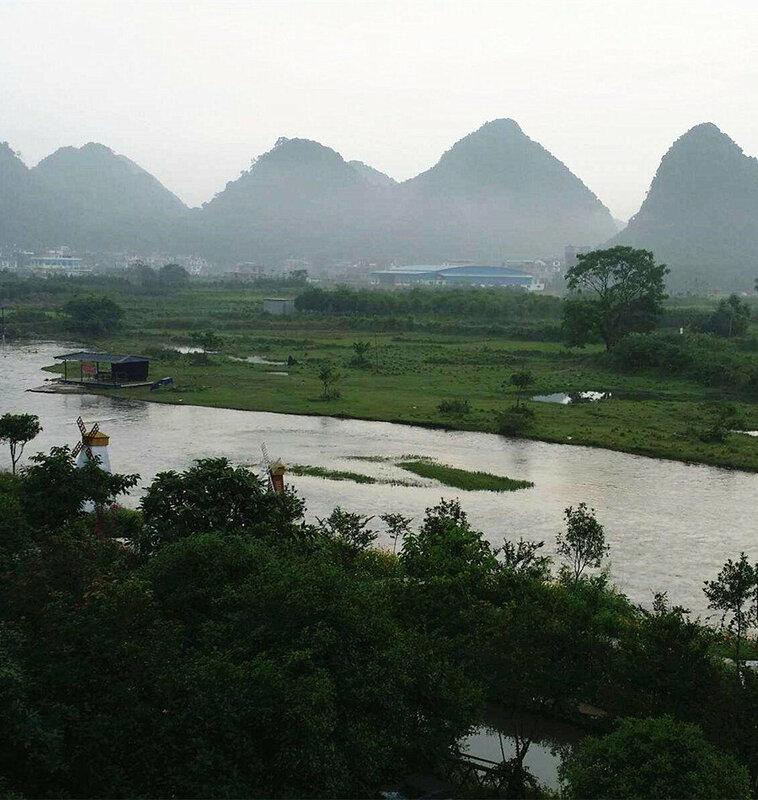 Elephant Trunk Hill is regarded as the symbol of Guilin . 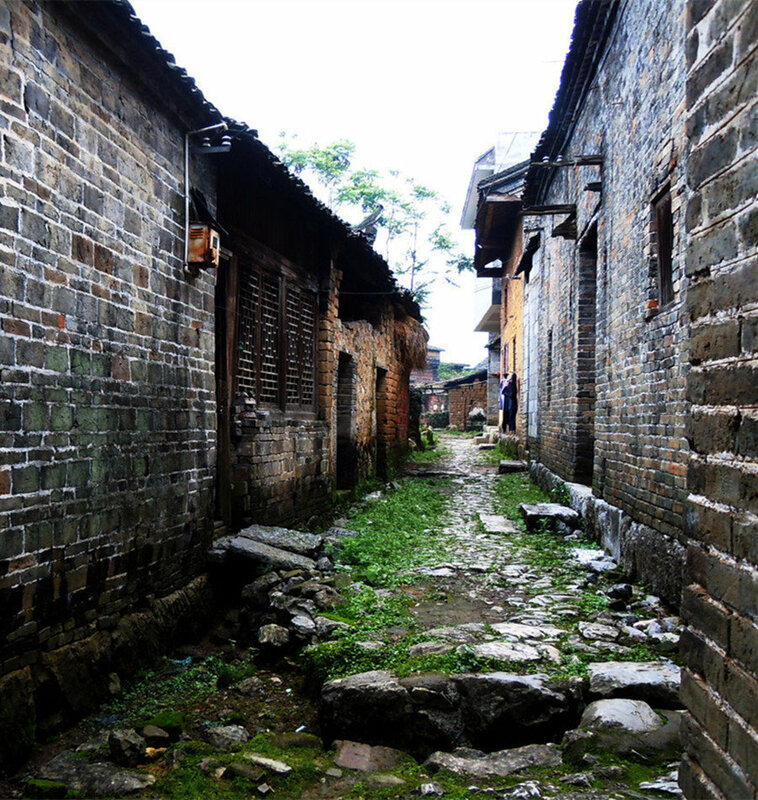 Originally named “Li Hill”, “Yi Hill” and “Chenshui Hill”, the hill is 3.6 hundred million years old. 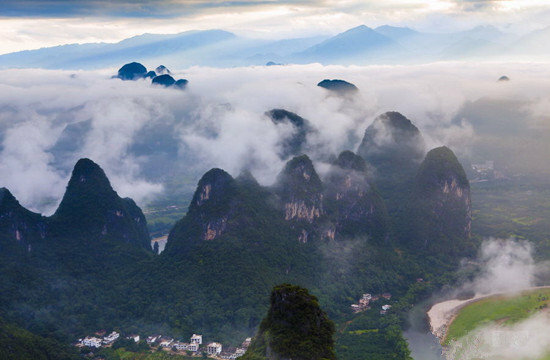 The hill towers 55m above the Li River and measures 108m in length and 100m in width and has an elevation of 200m above sea level. 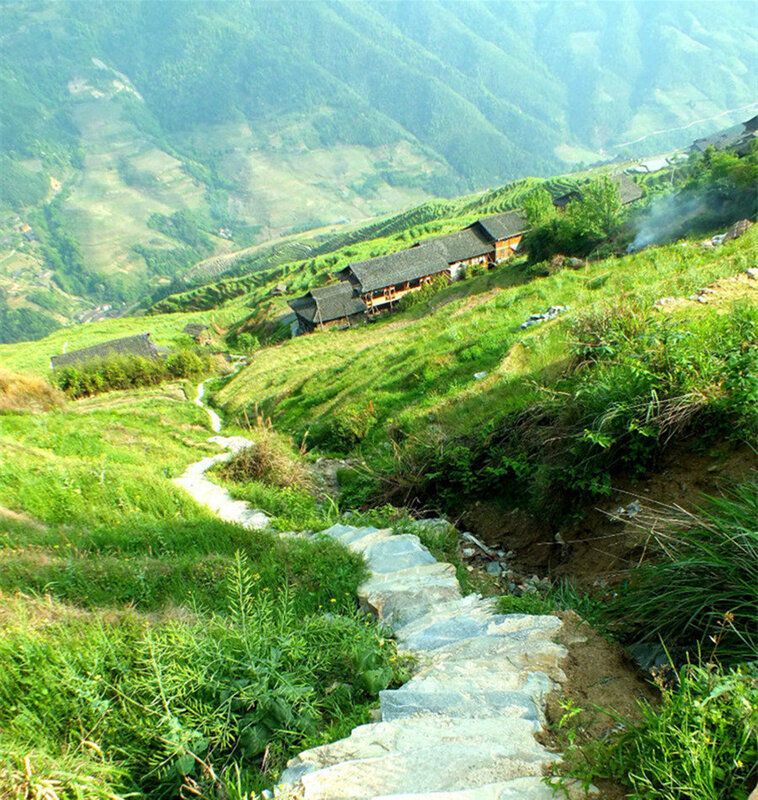 The Elephant Hill has several features: – Water Moon Cave (Shuiyue dong), Elephant’s Eye Stone, and Pagoda for Puxian and Yunfeng Temple . Water Moon Cave is at the riverside with water of Li River flowing through it. It looks like a full moon floating on the surface of the water with the moonlight reflected on the waves. Over 70 inscriptions from the Tang and Song dynasties can be found on the walls in and around this cave, praising the beauty of hills and waters nearby. On top of the hill stands a pagoda named Puxian Pagoda. Built in the Ming dynasty (1368-1644), the pagoda looks like the handle of a sword. Halfway up the hill lies another cave, which goes through the hill and represents the eyes of the elephant.There are many carvings and inscriptions inside and outside the cave. The most well-known one is a poem by Lu You (1125-1210), one of the four great poets of the Southern Song dynasty (1127-1279).